Steve Ballmer has just wrapped up his 2011 International Consumer Electronics Show Keynote Address. He addressed three key components for Microsoft; Xbox 360, Windows 7, and Windows Phone 7. Discussing how productive 2010 has been for Microsoft, Ballmer described it as a year filled with new experiences for consumers. Ballmer touched on the success of the Windows Phone Marketplace that now has over 5,500 apps and 20,000+ developers on board. On average, Windows Phone users are seeing 100 apps a day introduced to the Marketplace. The success is being reflected by consumer confidence in that 9 out of 10 AT&T customers would recommend Windows Phone 7 to a friend. It was clear that Microsoft was pleased with the two month impact Windows Phone 7 has had and Ballmer continued to voice a strong commitment to the new phones. 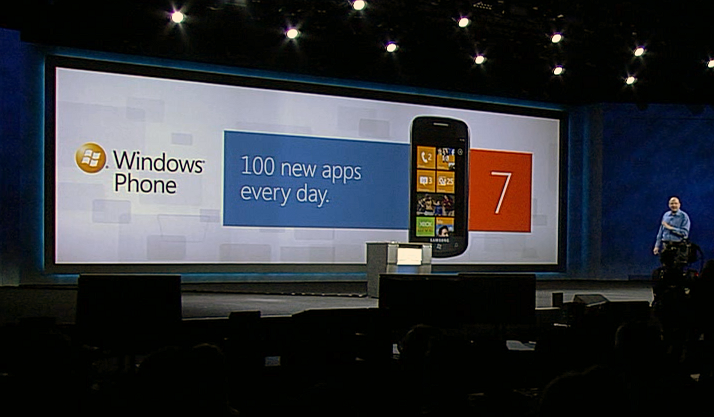 Here are a few points from Ballmer's keynote on what we can expect in 2011 for Windows Phone 7. OS Updates: Ballmer phrased it: "Over the next few months we will be delivering a series of platform improvements that show we are taking feedback to heart in an effort to continue to enhance the products we release. The updates will be released automatically and will include a few changes". No time frame was set but Ballmer did mention these updates will bring Copy/Paste to Windows Phone 7 as well as "significant improvement in performance when loading or switching between applications". 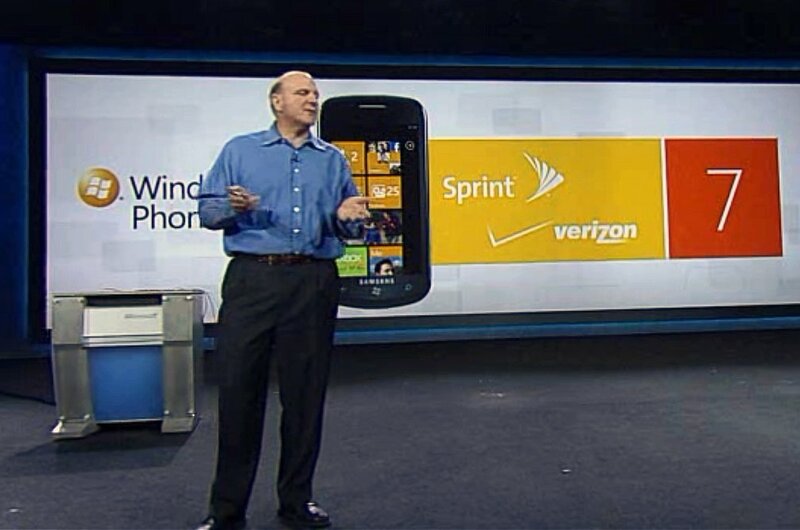 Sprint and Verizon: During the first half of 2011, Sprint and Verizon will join the Windows Phone family. While there was no mention of which phones are headed where, indications remain that the HTC Trophy is headed to Verizon and the HTC 7 Pro will be Sprint's Windows Phone device. Games: One of the strengths of Windows Phone 7 is the Xbox Live integration. Windows Phone users will see a series of new Xbox Live games heading to the platform including a version of the popular console game, Fable. 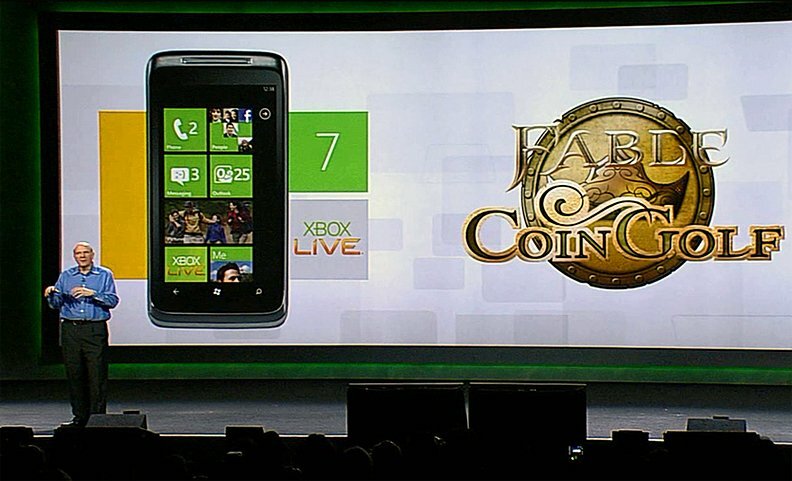 Fable Coin Golf (we're assuming it's a golf themed game) will allow any coins earned on the Windows Phone, carry over to the Xbox Live version of the game. You also have Pro Evolution Soccer 2011 heading to the Windows Phone as well as the much anticipated Zombies!!!. Apps: We saw a few new apps that caught our interests. There will be an http://Amazon.com?tag=wpcentralb-20&ascsubtag=UUwpUdUnU5821 app and a Bank of America app that will allow you to take care of your shopping and banking needs. Hopefully, this will break the ice for more online retailers and financial institutions to bring their apps to Windows Phone 7. It looks like 2011 is shaping up to be another year filled with new experiences for Microsoft consumers.